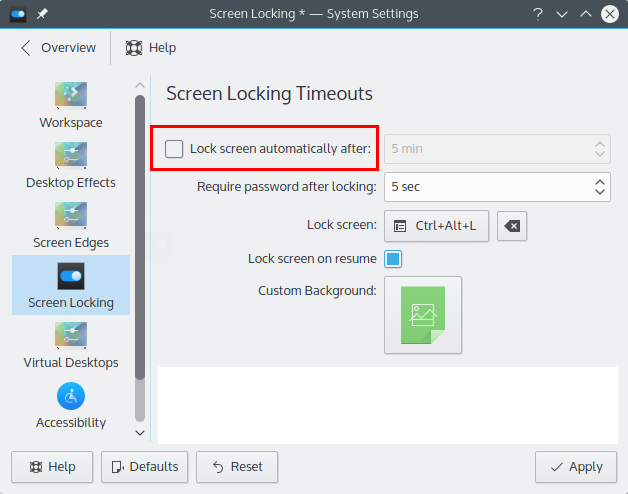 Sometimes, suspend and lock behavior in Ubuntu or Kubuntu is annoying. For example, you need to enter your password again in every suspend. These behavior are easy to disable by short instructions below. To disable Unity suspend (sleep) and lock behavior in Ubuntu, open System Settings > Brightness & Lock > set Never for Turn screen off option > set OFF for Lock option > uncheck Require my password option. To enable it back, just reverse the actions. 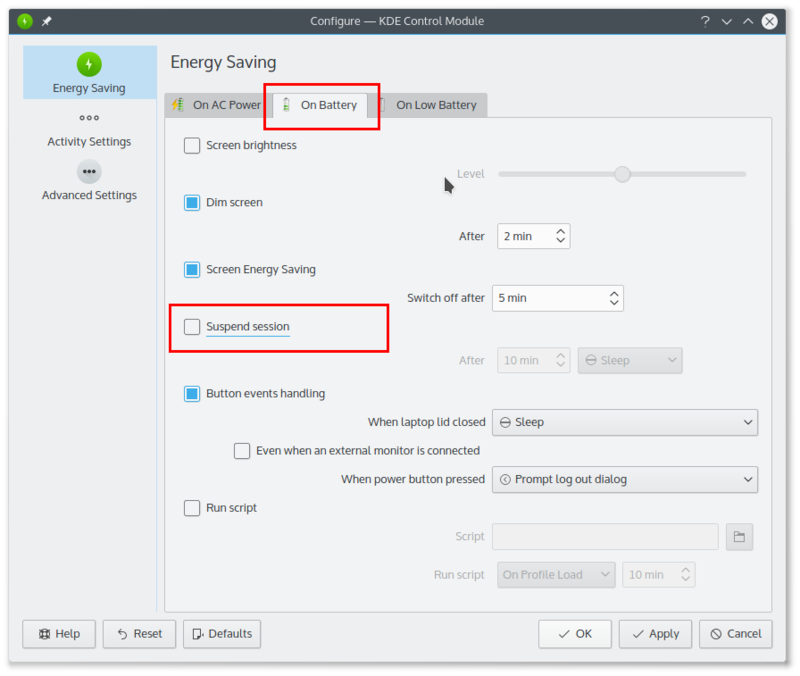 To disable KDE suspend (sleep) behavior in Kubuntu 15.10, open your KDE System Settings > Hardware > Energy Saving > On Battery. Uncheck the Suspend session option to disable the suspend. Check it again to enable it back. 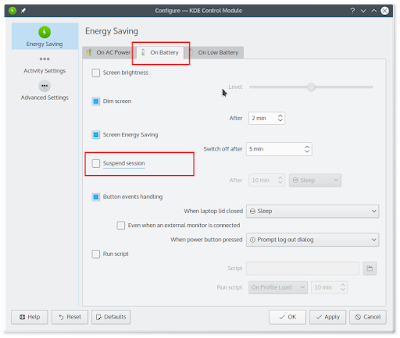 To disable KDE lock behavior, in the same KDE System Settings, open Workspace > Desktop Behavior > Screen Locking > uncheck Lock screen option. To enable it back, reverse the actions.